Get the perfect blend of ultra-slim design and pro-grade performance. Speed through your work and bring ideas to life on the world's brightest 4K UHD laptop display1. 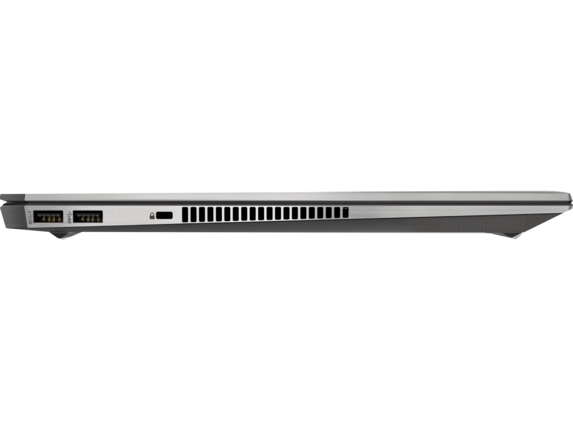 Ultra-slim design and ultra-high performance makes this laptop the perfect solution for engineers and architects who work with BIM. With remarkable graphics and processing power, it's easy to design in Revit, explore in Navisworks, and do real-time walkthrough in Enscape. Design, develop and render anytime, anywhere with this ultra-slim laptop. It's the perfect solution for 3D CAD and simulation based design with the high performance graphics, processors and memory. See your work in one billion vibrant colors on the HP DreamColor display with 600 nits of brightness - 20% brighter than Apple MacBook Pro and 50% brighter than Dell XPS2. Edit and render on-the-go with ultra-fast processing power, and professional certified 3D graphics. Perfect for heavy workloads with next-generation six-core Intel® Core™ i9 or Intel® Xeon® processors designed to handle complex, multi-threaded applications like Adobe Premier Pro5. Seamlessly edit your designs and render multi-layered files with certified NVIDIA® Quadro® P2000 graphics6, optimized for stability and performance with professional software apps. Get remarkable, real time performance running multiple applications simultaneously with 64 GB RAM7. Protect your work with industry-leading security features. 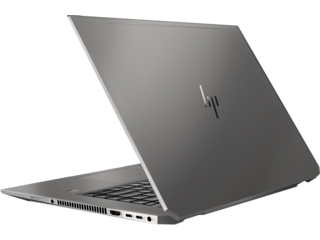 A touch of a button activates HP Sure View7 privacy screen to protect against visual hacking and RAID 19 maintains a backup copy of all your files in case you ever need it. Should you ever need it, your hard drive will automatically maintain a backup copy of all your files. Integrated privacy screen that activates at the touch of a button so you can work in busy, open areas10. Close the webcam with the swipe of your finger. Help protect your PC from websites, attachments, malware, ransomware, and viruses with hardware-enforced security from HP Sure Click12. Be productive in any situation. 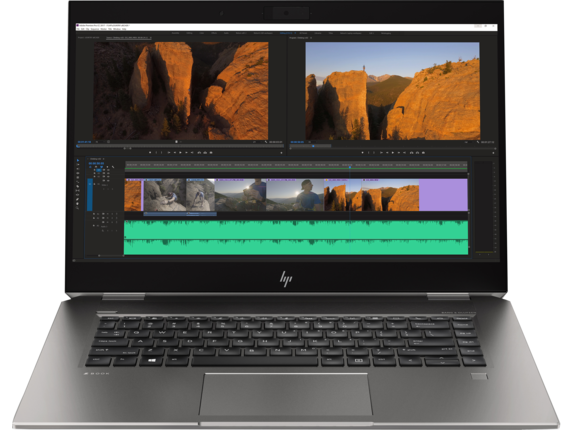 Windows 10 Pro13 and powerful security, collaboration, and connectivity features from HP help you power through your day on the HP ZBook Studio. Create seamlessly. Save and access large files locally with up to 4 TB local NVMe storage14, up to 21 times faster than standard HDD storage and six times faster than SATA SSD. Take your work on the road with up to 16 hours15 of battery life for maximum productivity. When you need it, recharge ultra-fast (50% in just 45 minutes)16. Host virtual meetings with the HP Collaboration Keyboard, HP World Facing Microphone and optional webcam. Get premium audio with 4 speakers tuned by Bang & Olufsen and a discrete amp. 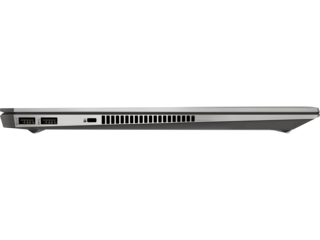 Experience fast transfer and upload speeds with dual Thunderbolt™ 3 ports. Keep all your devices and peripherals connected with 2 USB 3.0, 1 HDMI and 1 SD card port. Confidently take your work anywhere knowing your HP ZBook Studio was built for 24x7x365 workloads and designed to pass rigorous military standard tests17. Leave your dongles behind. Get all the ports you need including dual Thunderbolt™ 3 , USB 3.0 charging, HDMI and an SD card slot. 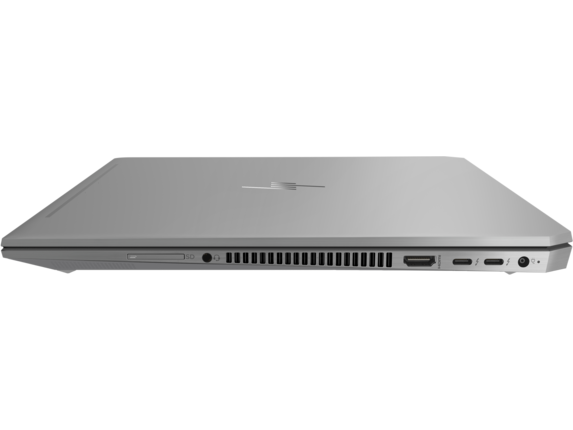 Explore the HP ZBook 15 the world's #1 mobile workstation18. Based on internal analysis clamshell form factor notebooks with 4K panel, brightness based on nits as of March 26, 2018. Based on comparison of dislay nits as of March 26, 2018. Adobe Premier Pro is sold separately. Not all features are available in all editions or versions of Windows. Systems may require upgraded and/or separately purchased hardware, drivers and/or software to take full advantage of Windows functionality. Windows 10 is automatically updated, which is always enabled. ISP fees may apply and additional requirements may apply over time for updates. See www.windows.com . 64GB RAM will not be available for order until December 2018. Windows 10 MM14 battery life will vary depending on various factors including product model, configuration, loaded applications, features, use, wireless functionality, and power management settings. The maximum capacity of the battery will naturally decrease with time and usage. See //www.bapco.com for additional details. MIL-STD-810G testing is completed. Testing is not intended to demonstrate fitness of U.S. Department of Defense (DoD) contract requirements or for military use. Test results are not a guarantee of future performance under these test conditions. Accidental damage requires an optional HP Accidental Damage Protection Care Pack. Intel, the Intel logo, Intel Core, Thunderbolt, Ultrabook and Core Inside are trademarks or registered trademarks of Intel Corporation or its subsidiaries in the U.S. and/or other countries. Microsoft and Windows are either registered trademarks or trademarks of Microsoft Corporation in the United States and/or other countries. Adobe is a trademark of Adobe Systems Incorporated. NVIDIA and Quadro are trademarks and/or registered trademarks of NVIDIA Corporation in the U.S. and other countries. 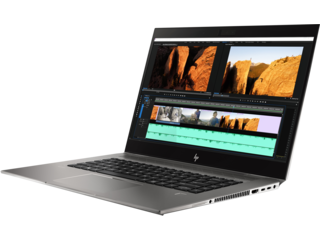 NVIDIA® Quadro® mobile professional graphics support up to four independent displays when using a HP ZBook Dock with Thunderbolt 3 (sold separately) or DP 1.2 hubs with MST. AMD Radeon™ Pro professional graphics support up to six independent displays when using an HP ZBook Dock with Thunderbolt 3 (sold separately) or DP 1.2 hubs with MST. Privacy camera is not available on touchscreen. HP Workwise smartphone app is available as a free download on the App Store and Google Play. See requirements at www.hp.com/go/workwise. Battery is internal and not replaceable by customer. Serviceable by warranty. Batteries have a default one year limited warranty except for Long Life batteries which will have same 1-year or 3-year limited warranty as the platform. 1 Not all features are available in all editions or versions of Windows. Systems may require upgraded and/or separately purchased hardware, drivers, software or BIOS update to take full advantage of Windows functionality. Windows 10 is automatically updated, which is always enabled. ISP fees may apply and additional requirements may apply over time for updates. See http://www.windows.com. 2 Multicore is designed to improve performance of certain software products. Not all customers or software applications will necessarily benefit from use of this technology. Performance and clock frequency will vary depending on application workload and your hardware and software configurations. Intel’s numbering, branding and/or naming is not a measurement of higher performance. 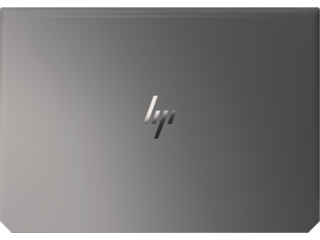 3 In accordance with Microsoft’s support policy, HP does not support the Windows® 8 or Windows 7 operating system on products configured with Intel and AMD 7th generation and forward processors or provide any Windows®8 or Windows 7 drivers on http://www.support.hp.com 4 vPro. Some functionality of this technology, such as Intel Active management technology and Intel Virtualization technology, requires additional 3rd party software in order to run. Availability of future "virtual appliances" applications for Intel vPro technology is dependent on 3rd party software providers. Compatibility future "virtual appliances" is yet to be determined. 5 Only 2 DIMM configurations run at 2400 MHz and 4 DIMM configurations run at 2133 MHz. 6Multi-core is designed to improve performance of certain software products. Not all customers or software applications will necessarily benefit from use of this technology. Performance and clock frequency will vary depending on application workload and your hardware and software configurations. Intel’s numbering is not a measurement of higher performance. 7 Intel® Turbo Boost performance varies depending on hardware, software and overall system configuration. See http://www.intel.com/technology/turboboost/ for more information. 8 HD content required to view HD images. 9 Intel® HD graphics 630 is configurable as a standalone graphics option; Intel® HD graphics P630 only used when NVIDIA® Optimus™ Technology is enabled. 10 NVIDIA® Quadro® mobile professional graphics support up to four independent displays when using a HP ZBook Dock with Thunderbolt 3 (sold separately) or DP 1.2 hubs with MST. AMD Radeon™ Pro professional graphics support up to six independent displays when using an HP ZBook Dock with Thunderbolt 3 (sold separately) or DP 1.2 hubs with MST. 11 Privacy camera is not available on touchscreen. 12 Dual-microphone array when equipped with optional webcam and optional world facing microphone. 13 Optional or add-on feature. 14 HP ePrint Driver requires an internet connection to HP web-enabled printer and HP ePrint account registration (for a list of eligible printers, supported documents and image types and other HP ePrint details, see www.hp.com/go/businessmobileprinting. 15 HP Remote Graphics Software requires a Windows, Linux®, or Mac®OS X 10.10 and newer operating system and network access. 16 HP Workwise smartphone app is available as a free download on the App Store and Google Play. See requirements at www.hp.com/go/workwise. 17 HP Client Security Suite Gen 4 requires Windows and Intel® or AMD 8th generation processors. 18 BIOS Absolute Persistence module is shipped turned off, and will be activated when customers purchase and activate a subscription. Service may be limited. Check with Absolute for availability outside the U.S. The optional subscription service of Absolute Recovery Guarantee is a limited warranty. Certain conditions apply. For full details visit: http://www.absolute.com/company/legal/agreements/computrace-agreement. 19 Finger Sensor is optional 20 HP Manageability Integration Kit can be downloaded from http://www.hp.com/go/clientmanagement. 21 HP BIOSphere Gen4 requires Intel® or AMD 8th generation processors. HP Sure Start Gen4 is available on HP Z Workstations products equipped with 8th generation Intel® or AMD processors. 22 HP Password manager requires Windows. 23 EPEAT® registered where applicable. EPEAT registration varies by country. See www.epeat.net for registration status by country. 24 External power supplies, power cords, cables and peripherals are not low halogen. Service parts obtained after purchase may not be low halogen. 25 Battery is internal and not replaceable by customer. Serviceable by warranty. Batteries have a default one year limited warranty except for Long Life batteries which will have same 1-year or 3-year limited warranty as the platform. 26 HP Secure Disk Erase is for the methods outlined in the National Institute of Standards and Technology Special Publication 800-88. 27 HP Sure Click is available on select HP platforms and supports Microsoft® Internet Explorer, Google Chrome, and Chromium™. Supported attachments include Microsoft Office (Word, Excel, PowerPoint) and PDF files in read only mode. Check http://h20195.www2.hp.com/v2/GetDocument.aspx?docname=4AA7-0922ENW for all compatible platforms as they become available. 28 Windows Defender Opt In, Windows 10, and internet connection required for updates. 29 Windows Hello optional 30 Intel® Optane™ memory system acceleration does not replace or increase the DRAM in your system. 31 Intel Turbo Boost performance varies depending on hardware, software and overall system configuration. See www.intel.com/technology/turboboost for more information. 32 Supported, not preloaded. 33 4 cell now only w/ UMA, and not possible with DSC. 34 Intel® Optane™ memory is only available if HDD is selected and 2nd M.2 is not selected. 35 Available in December 2018. 36 RAID 1 Configuration requires 2 NVMe PCIe M.2 drives; both drives must be the same capacity and only available on NVMe technology. 18 BIOS Absolute Persistence module is shipped turned off, and will be activated when customers purchase and activate a subscription. Service may be limited. Check with Absolute for availability outside the U.S. The optional subscription service of Absolute Recovery Guarantee is a limited warranty. Certain conditions apply. For full details visit: http://www.absolute.com/company/legal/agreements/computrace-agreement. 20 HP Manageability Integration Kit can be downloaded from http://www.hp.com/go/clientmanagement. 21 HP BIOSphere Gen4 requires Intel® or AMD 8th generation processors. HP Sure Start Gen4 is available on HP Z Workstations products equipped with 8th generation Intel® or AMD processors. 25 Battery is internal and not replaceable by customer. Serviceable by warranty. Batteries have a default one year limited warranty except for Long Life batteries which will have same 1-year or 3-year limited warranty as the platform. 26 HP Secure Disk Erase is for the methods outlined in the National Institute of Standards and Technology Special Publication 800-88. 27 HP Sure Click is available on select HP platforms and supports Microsoft® Internet Explorer, Google Chrome, and Chromium™. Supported attachments include Microsoft Office (Word, Excel, PowerPoint) and PDF files in read only mode. Check http://h20195.www2.hp.com/v2/GetDocument.aspx?docname=4AA7-0922ENW for all compatible platforms as they become available. 28 Windows Defender Opt In, Windows 10, and internet connection required for updates. 14 HP ePrint Driver requires an internet connection to HP web-enabled printer and HP ePrint account registration (for a list of eligible printers, supported documents and image types and other HP ePrint details, see www.hp.com/go/businessmobileprinting. 15 HP Remote Graphics Software requires a Windows, Linux®, or Mac®OS X 10.10 and newer operating system and network access. 16 HP Workwise smartphone app is available as a free download on the App Store and Google Play. See requirements at www.hp.com/go/workwise. 17 HP Client Security Suite Gen 4 requires Windows and Intel® or AMD 8th generation processors. 1 Not all features are available in all editions or versions of Windows. Systems may require upgraded and/or separately purchased hardware, drivers and/or software to take full advantage of Windows functionality. Windows 10 is automatically updated, which is always enabled. ISP fees may apply and additional requirements may apply over time for updates. See http://www.windows.com 2 Adobe Premier Pro is sold separately. 3 NVIDIA® Quadro® P2000 graphics is a configurable option. 4 For hard drives, GB = 1 billion bytes. TB = 1 trillion bytes. Actual formatted capacity is less. Up to 30GB (for Windows 10) of system disk is reserved for system recovery software. 5 64 GB RAM planned to be available in December 2018. 6 Windows 10 MM14 battery life will vary depending on various factors including product model, configuration, loaded applications, features, use, wireless functionality, and power management settings. The maximum capacity of the battery will naturally decrease with time and usage. See www.bapco.com for additional details. 7 Recharges the battery up to 50% within 45 minutes when the system is off or in standby mode. Power adapter with a minimum capacity of 65 watts is required. After charging has reached 50% capacity, charging will return to normal. Charging time may vary +/-10% due to System tolerance. 8 Weight will vary by configuration. 9 Ambient light sensor only available on select models with standard and full UHD (not available with HP DreamColor or privacy display models) 10 MIL-STD-810G testing is not intended to demonstrate fitness of U.S. Department of Defense (DoD) contract requirements or for military use. Test results are not a guarantee of future performance under these test conditions. Accidental damage requires an optional HP Accidental Damage Protection Care Pack. 11 Based on internal analysis of laptops, clamshell form factor brightness based on 4K UHD nits as of March 26, 2018. 12 64 GB RAM planned to be available in December 2018. 13 HP Sure View integrated privacy screen is an optional feature that must be configured at purchase and functions in landscape orientation. 14 Raid 1 planned to be available in December 2018. 1 Not all features are available in all editions or versions of Windows. Systems may require upgraded and/or separately purchased hardware, drivers, software or BIOS update to take full advantage of Windows functionality. Windows 10 is automatically updated, which is always enabled. ISP fees may apply and additional requirements may apply over time for updates. See http://www.windows.com. 2 Multicore is designed to improve performance of certain software products. Not all customers or software applications will necessarily benefit from use of this technology. Performance and clock frequency will vary depending on application workload and your hardware and software configurations. Intel’s numbering, branding and/or naming is not a measurement of higher performance. 3 In accordance with Microsoft’s support policy, HP does not support the Windows® 8 or Windows 7 operating system on products configured with Intel and AMD 7th generation and forward processors or provide any Windows®8 or Windows 7 drivers on http://www.support.hp.com 4 vPro. Some functionality of this technology, such as Intel Active management technology and Intel Virtualization technology, requires additional 3rd party software in order to run. Availability of future "virtual appliances" applications for Intel vPro technology is dependent on 3rd party software providers. Compatibility future "virtual appliances" is yet to be determined. 5 Only 2 DIMM configurations run at 2400 MHz and 4 DIMM configurations run at 2133 MHz. 6Multi-core is designed to improve performance of certain software products. Not all customers or software applications will necessarily benefit from use of this technology. Performance and clock frequency will vary depending on application workload and your hardware and software configurations. Intel’s numbering is not a measurement of higher performance. 7 Intel® Turbo Boost performance varies depending on hardware, software and overall system configuration. See http://www.intel.com/technology/turboboost/ for more information. 8 HD content required to view HD images. 9 Intel® HD graphics 630 is configurable as a standalone graphics option; Intel® HD graphics P630 only used when NVIDIA® Optimus™ Technology is enabled. 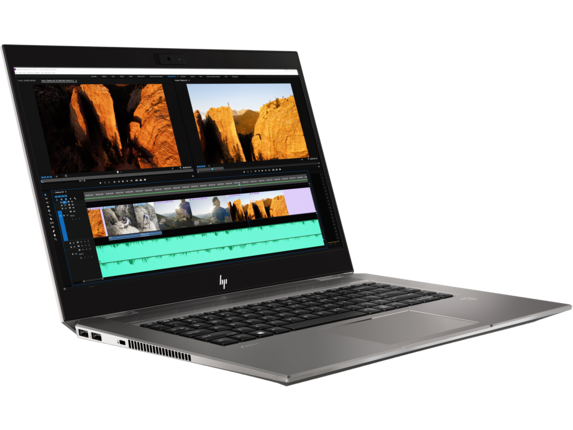 10 NVIDIA® Quadro® mobile professional graphics support up to four independent displays when using a HP ZBook Dock with Thunderbolt 3 (sold separately) or DP 1.2 hubs with MST. AMD Radeon™ Pro professional graphics support up to six independent displays when using an HP ZBook Dock with Thunderbolt 3 (sold separately) or DP 1.2 hubs with MST. 11 Privacy camera is not available on touchscreen. 12 Dual-microphone array when equipped with optional webcam and optional world facing microphone. 13 Optional or add-on feature. 14 HP ePrint Driver requires an internet connection to HP web-enabled printer and HP ePrint account registration (for a list of eligible printers, supported documents and image types and other HP ePrint details, see www.hp.com/go/businessmobileprinting. 15 HP Remote Graphics Software requires a Windows, Linux®, or Mac®OS X 10.10 and newer operating system and network access. 16 HP Workwise smartphone app is available as a free download on the App Store and Google Play. See requirements at www.hp.com/go/workwise. 17 HP Client Security Suite Gen 4 requires Windows and Intel® or AMD 8th generation processors. 18 BIOS Absolute Persistence module is shipped turned off, and will be activated when customers purchase and activate a subscription. Service may be limited. Check with Absolute for availability outside the U.S. The optional subscription service of Absolute Recovery Guarantee is a limited warranty. Certain conditions apply. For full details visit: http://www.absolute.com/company/legal/agreements/computrace-agreement. 19 Finger Sensor is optional 20 HP Manageability Integration Kit can be downloaded from http://www.hp.com/go/clientmanagement. 21 HP BIOSphere Gen4 requires Intel® or AMD 8th generation processors. HP Sure Start Gen4 is available on HP Z Workstations products equipped with 8th generation Intel® or AMD processors. 22 HP Password manager requires Windows. 23 EPEAT® registered where applicable. EPEAT registration varies by country. See www.epeat.net for registration status by country. 24 External power supplies, power cords, cables and peripherals are not low halogen. Service parts obtained after purchase may not be low halogen. 25 Battery is internal and not replaceable by customer. Serviceable by warranty. Batteries have a default one year limited warranty except for Long Life batteries which will have same 1-year or 3-year limited warranty as the platform. 26 HP Secure Disk Erase is for the methods outlined in the National Institute of Standards and Technology Special Publication 800-88. 27 HP Sure Click is available on select HP platforms and supports Microsoft® Internet Explorer, Google Chrome, and Chromium™. Supported attachments include Microsoft Office (Word, Excel, PowerPoint) and PDF files in read only mode. Check http://h20195.www2.hp.com/v2/GetDocument.aspx?docname=4AA7-0922ENW for all compatible platforms as they become available. 28 Windows Defender Opt In, Windows 10, and internet connection required for updates. 29 Windows Hello optional 30 Intel® Optane™ memory system acceleration does not replace or increase the DRAM in your system. 31 Intel Turbo Boost performance varies depending on hardware, software and overall system configuration. See www.intel.com/technology/turboboost for more information. 32 Supported, not preloaded. 33 4 cell now only w/ UMA, and not possible with DSC. 34 Intel® Optane™ memory is only available if HDD is selected and 2nd M.2 is not selected. 35 Available in December 2018. 36 RAID 1 Configuration requires 2 NVMe PCIe M.2 drives; both drives must be the same capacity and only available on NVMe technology. 18 BIOS Absolute Persistence module is shipped turned off, and will be activated when customers purchase and activate a subscription. Service may be limited. Check with Absolute for availability outside the U.S. The optional subscription service of Absolute Recovery Guarantee is a limited warranty. Certain conditions apply. For full details visit: http://www.absolute.com/company/legal/agreements/computrace-agreement. 1 Not all features are available in all editions or versions of Windows. Systems may require upgraded and/or separately purchased hardware, drivers, software or BIOS update to take full advantage of Windows functionality. Windows 10 is automatically updated, which is always enabled. ISP fees may apply and additional requirements may apply over time for updates. See http://www.windows.com. 2 Multicore is designed to improve performance of certain software products. Not all customers or software applications will necessarily benefit from use of this technology. Performance and clock frequency will vary depending on application workload and your hardware and software configurations. Intel’s numbering, branding and/or naming is not a measurement of higher performance. 3 In accordance with Microsoft’s support policy, HP does not support the Windows® 8 or Windows 7 operating system on products configured with Intel and AMD 7th generation and forward processors or provide any Windows®8 or Windows 7 drivers on http://www.support.hp.com 4 vPro. Some functionality of this technology, such as Intel Active management technology and Intel Virtualization technology, requires additional 3rd party software in order to run. Availability of future "virtual appliances" applications for Intel vPro technology is dependent on 3rd party software providers. Compatibility future "virtual appliances" is yet to be determined. 5 Only 2 DIMM configurations run at 2400 MHz and 4 DIMM configurations run at 2133 MHz. 6 For storage drives GB = 1 billion bytes. TB = 1 trillion bytes. Actual formatted capacity is less. Up to 30 GB (for Windows 10) is reserved for system recovery software. 7 Wireless cards are optional or add-on features and requires separately purchased wireless access point and internet service. Availability of public wireless access points limited. The specifications for the 802.11ac WLAN are draft specifications and are not final. If the final specifications differ from the draft specifications, it may affect the ability of the notebook to communicate with other 802.11ac WLAN devices. 8 HD content required to view HD images. 9 Intel® HD graphics 630 is configurable as a standalone graphics option; Intel® HD graphics P630 only used when NVIDIA® Optimus™ Technology is enabled. 10 NVIDIA® Quadro® mobile professional graphics support up to four independent displays when using a HP ZBook Dock with Thunderbolt 3 (sold separately) or DP 1.2 hubs with MST. AMD Radeon™ Pro professional graphics support up to six independent displays when using an HP ZBook Dock with Thunderbolt 3 (sold separately) or DP 1.2 hubs with MST. 11 Privacy camera is not available on touchscreen. 12 Dual-microphone array when equipped with optional webcam and optional world facing microphone. 13 Optional or add-on feature. 14 HP ePrint Driver requires an internet connection to HP web-enabled printer and HP ePrint account registration (for a list of eligible printers, supported documents and image types and other HP ePrint details, see www.hp.com/go/businessmobileprinting. 15 HP Remote Graphics Software requires a Windows, Linux®, or Mac®OS X 10.10 and newer operating system and network access. 16 HP Workwise smartphone app is available as a free download on the App Store and Google Play. See requirements at www.hp.com/go/workwise. 17 HP Client Security Suite Gen 4 requires Windows and Intel® or AMD 8th generation processors. 18 BIOS Absolute Persistence module is shipped turned off, and will be activated when customers purchase and activate a subscription. Service may be limited. Check with Absolute for availability outside the U.S. The optional subscription service of Absolute Recovery Guarantee is a limited warranty. Certain conditions apply. For full details visit: http://www.absolute.com/company/legal/agreements/computrace-agreement. 19 Finger Sensor is optional 20 HP Manageability Integration Kit can be downloaded from http://www.hp.com/go/clientmanagement. 21 HP BIOSphere Gen4 requires Intel® or AMD 8th generation processors. HP Sure Start Gen4 is available on HP Z Workstations products equipped with 8th generation Intel® or AMD processors. 22 HP Password manager requires Windows. 23 EPEAT® registered where applicable. EPEAT registration varies by country. See www.epeat.net for registration status by country. 24 External power supplies, power cords, cables and peripherals are not low halogen. Service parts obtained after purchase may not be low halogen. 25 Battery is internal and not replaceable by customer. Serviceable by warranty. Batteries have a default one year limited warranty except for Long Life batteries which will have same 1-year or 3-year limited warranty as the platform. 26 HP Secure Disk Erase is for the methods outlined in the National Institute of Standards and Technology Special Publication 800-88. 27 HP Sure Click is available on select HP platforms and supports Microsoft® Internet Explorer, Google Chrome, and Chromium™. Supported attachments include Microsoft Office (Word, Excel, PowerPoint) and PDF files in read only mode. Check http://h20195.www2.hp.com/v2/GetDocument.aspx?docname=4AA7-0922ENW for all compatible platforms as they become available. 28 Windows Defender Opt In, Windows 10, and internet connection required for updates. 29 Windows Hello optional 30 Intel® Optane™ memory system acceleration does not replace or increase the DRAM in your system. 31 Intel Turbo Boost performance varies depending on hardware, software and overall system configuration. See www.intel.com/technology/turboboost for more information. 32 Supported, not preloaded. 33 4 cell now only w/ UMA, and not possible with DSC. 34 Intel® Optane™ memory is only available if HDD is selected and 2nd M.2 is not selected. 35 Available in December 2018. 36 RAID 1 Configuration requires 2 NVMe PCIe M.2 drives; both drives must be the same capacity and only available on NVMe technology. 18 BIOS Absolute Persistence module is shipped turned off, and will be activated when customers purchase and activate a subscription. Service may be limited. Check with Absolute for availability outside the U.S. The optional subscription service of Absolute Recovery Guarantee is a limited warranty. Certain conditions apply. For full details visit: http://www.absolute.com/company/legal/agreements/computrace-agreement. 1 Not all features are available in all editions or versions of Windows. Systems may require upgraded and/or separately purchased hardware, drivers and/or software to take full advantage of Windows functionality. Windows 10 is automatically updated, which is always enabled. ISP fees may apply and additional requirements may apply over time for updates. See http://www.windows.com 2 Adobe Premier Pro is sold separately. 3 NVIDIA® Quadro® P2000 graphics is a configurable option. 4 For hard drives, GB = 1 billion bytes. TB = 1 trillion bytes. Actual formatted capacity is less. Up to 30GB (for Windows 10) of system disk is reserved for system recovery software. 5 64 GB RAM planned to be available in December 2018. 6 Windows 10 MM14 battery life will vary depending on various factors including product model, configuration, loaded applications, features, use, wireless functionality, and power management settings. The maximum capacity of the battery will naturally decrease with time and usage. See www.bapco.com for additional details. 7 Recharges the battery up to 50% within 45 minutes when the system is off or in standby mode. Power adapter with a minimum capacity of 65 watts is required. After charging has reached 50% capacity, charging will return to normal. Charging time may vary +/-10% due to System tolerance. 8 Weight will vary by configuration. 9 Ambient light sensor only available on select models with standard and full UHD (not available with HP DreamColor or privacy display models) 10 MIL-STD-810G testing is not intended to demonstrate fitness of U.S. Department of Defense (DoD) contract requirements or for military use. Test results are not a guarantee of future performance under these test conditions. Accidental damage requires an optional HP Accidental Damage Protection Care Pack. 11 Based on internal analysis of laptops, clamshell form factor brightness based on 4K UHD nits as of March 26, 2018. 12 64 GB RAM planned to be available in December 2018. 13 HP Sure View integrated privacy screen is an optional feature that must be configured at purchase and functions in landscape orientation. 14 Raid 1 planned to be available in December 2018. 1 Not all features are available in all editions or versions of Windows. Systems may require upgraded and/or separately purchased hardware, drivers, software or BIOS update to take full advantage of Windows functionality. Windows 10 is automatically updated, which is always enabled. ISP fees may apply and additional requirements may apply over time for updates. See http://www.windows.com. 2 Multicore is designed to improve performance of certain software products. Not all customers or software applications will necessarily benefit from use of this technology. Performance and clock frequency will vary depending on application workload and your hardware and software configurations. Intel’s numbering, branding and/or naming is not a measurement of higher performance. 3 In accordance with Microsoft’s support policy, HP does not support the Windows® 8 or Windows 7 operating system on products configured with Intel and AMD 7th generation and forward processors or provide any Windows®8 or Windows 7 drivers on http://www.support.hp.com 4 vPro. Some functionality of this technology, such as Intel Active management technology and Intel Virtualization technology, requires additional 3rd party software in order to run. Availability of future "virtual appliances" applications for Intel vPro technology is dependent on 3rd party software providers. Compatibility future "virtual appliances" is yet to be determined. 5 Only 2 DIMM configurations run at 2400 MHz and 4 DIMM configurations run at 2133 MHz. 6 For storage drives GB = 1 billion bytes. TB = 1 trillion bytes. Actual formatted capacity is less. Up to 30 GB (for Windows 10) is reserved for system recovery software. 7 Wireless cards are optional or add-on features and requires separately purchased wireless access point and internet service. Availability of public wireless access points limited. The specifications for the 802.11ac WLAN are draft specifications and are not final. If the final specifications differ from the draft specifications, it may affect the ability of the notebook to communicate with other 802.11ac WLAN devices. 8 HD content required to view HD images. 9 Intel® HD graphics 630 is configurable as a standalone graphics option; Intel® HD graphics P630 only used when NVIDIA® Optimus™ Technology is enabled. 10 NVIDIA® Quadro® mobile professional graphics support up to four independent displays when using a HP ZBook Dock with Thunderbolt 3 (sold separately) or DP 1.2 hubs with MST. AMD Radeon™ Pro professional graphics support up to six independent displays when using an HP ZBook Dock with Thunderbolt 3 (sold separately) or DP 1.2 hubs with MST. 11 Privacy camera is not available on touchscreen. 12 Dual-microphone array when equipped with optional webcam and optional world facing microphone. 13 Optional or add-on feature. 14 HP ePrint Driver requires an internet connection to HP web-enabled printer and HP ePrint account registration (for a list of eligible printers, supported documents and image types and other HP ePrint details, see www.hp.com/go/businessmobileprinting. 15 HP Remote Graphics Software requires a Windows, Linux®, or Mac®OS X 10.10 and newer operating system and network access. 16 HP Workwise smartphone app is available as a free download on the App Store and Google Play. See requirements at www.hp.com/go/workwise. 17 HP Client Security Suite Gen 4 requires Windows and Intel® or AMD 8th generation processors. 18 BIOS Absolute Persistence module is shipped turned off, and will be activated when customers purchase and activate a subscription. Service may be limited. Check with Absolute for availability outside the U.S. The optional subscription service of Absolute Recovery Guarantee is a limited warranty. Certain conditions apply. For full details visit: http://www.absolute.com/company/legal/agreements/computrace-agreement. 19 Finger Sensor is optional 20 HP Manageability Integration Kit can be downloaded from http://www.hp.com/go/clientmanagement. 21 HP BIOSphere Gen4 requires Intel® or AMD 8th generation processors. HP Sure Start Gen4 is available on HP Z Workstations products equipped with 8th generation Intel® or AMD processors. 22 HP Password manager requires Windows. 23 EPEAT® registered where applicable. EPEAT registration varies by country. See www.epeat.net for registration status by country. 24 External power supplies, power cords, cables and peripherals are not low halogen. Service parts obtained after purchase may not be low halogen. 25 Battery is internal and not replaceable by customer. Serviceable by warranty. Batteries have a default one year limited warranty except for Long Life batteries which will have same 1-year or 3-year limited warranty as the platform. 26 HP Secure Disk Erase is for the methods outlined in the National Institute of Standards and Technology Special Publication 800-88. 27 HP Sure Click is available on select HP platforms and supports Microsoft® Internet Explorer, Google Chrome, and Chromium™. Supported attachments include Microsoft Office (Word, Excel, PowerPoint) and PDF files in read only mode. Check http://h20195.www2.hp.com/v2/GetDocument.aspx?docname=4AA7-0922ENW for all compatible platforms as they become available. 28 Windows Defender Opt In, Windows 10, and internet connection required for updates. 29 Windows Hello optional 30 Intel® Optane™ memory system acceleration does not replace or increase the DRAM in your system. 31 Intel Turbo Boost performance varies depending on hardware, software and overall system configuration. See www.intel.com/technology/turboboost for more information. 32 Supported, not preloaded. 33 4 cell now only w/ UMA, and not possible with DSC. 34 Intel® Optane™ memory is only available if HDD is selected and 2nd M.2 is not selected. 35 Available in December 2018. 36 RAID 1 Configuration requires 2 NVMe PCIe M.2 drives; both drives must be the same capacity and only available on NVMe technology. 18 BIOS Absolute Persistence module is shipped turned off, and will be activated when customers purchase and activate a subscription. Service may be limited. Check with Absolute for availability outside the U.S. The optional subscription service of Absolute Recovery Guarantee is a limited warranty. Certain conditions apply. For full details visit: http://www.absolute.com/company/legal/agreements/computrace-agreement.